"And now just jump up, like you're doing a squat thrust." That was when I knew I was in trouble. What the hell is a squat thrust? I had no idea. But I was already in a wet suit, on a beach, soaking wet. So it was a little too late to run and look it up. Also, I was in a group of people I had only just met. Which makes it difficult to ask stupid questions. Most of my attention was going on discretely catching my breath, after the little 'warm up jog' which nearly made me vomit. But I kept it all in. The questions and the vomit. Because I may not be sporty. I may not be fit. But dammit, I am competitive. I wasn't having the others thinking I was weak. I should back track a little. 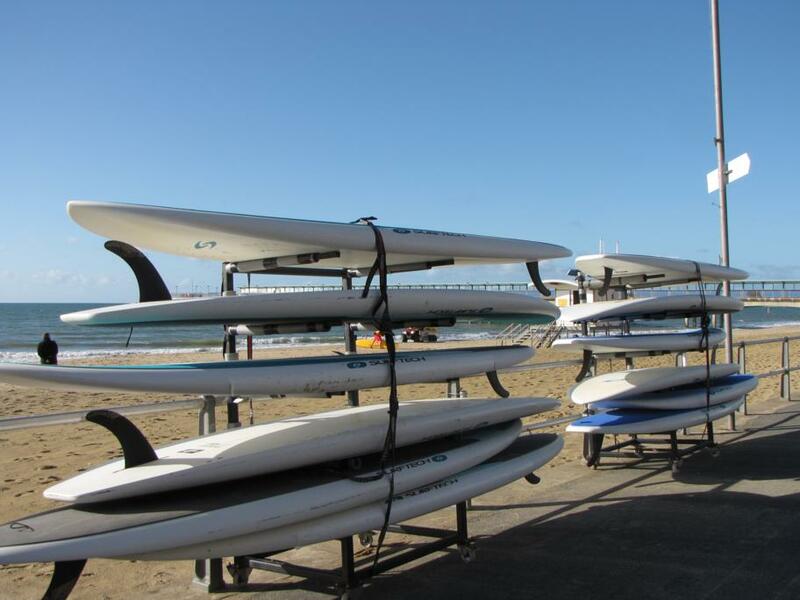 It was a cold but sunny morning in Bournemouth, and I was about to surf for the very first time. Despite the fact I live near Sligo, and some of the best surf in the world, I had never been. This isn't from a lack of desire - ever since watching Blue Crush years ago, I've wanted to surf. I've just never gotten off my arse and done it. I've been for classes in Strandhill before, but they've always been cancelled. So I've gone to Shell's cafe instead. Or a seaweed bath. Coming from Sligo, I was a bit of a snob about the English waves. 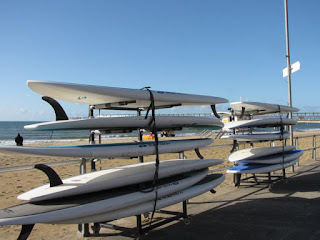 Would there be any surf in Bournemouth? It turns out, there was. There's an artificial reef just off shore, which creates perfect waves all year round. To be honest, the science of this was lost on me. But the inner geographer was wondering how good this was for the coastline... now meaningless phrases like 'longshore drift' passed through my mind. It's never a good idea to mess with mother nature. But I was assured that it poses no risks. And anyway, there was no time to worry about the coastline. I was about to head into the abyss. I knew when I was attempting to 'squat thrust' onto my board that this may not be happening for me. The class was only an hour long, and I figured that if I couldn't do it on dry land, I probably wouldn't get the knack while bouncing on the sea. But I did catch a couple of waves. One or two with the help of the instructor, who physically pulled my board onto a break for me as I lay there on my belly, doing nothing to help. I got half up onto my knees at one point. Maybe if I'd have been there a few days, I would have gotten the knack? I could certainly feel the familiar rush of determination I get when I don't perfect something straight away. 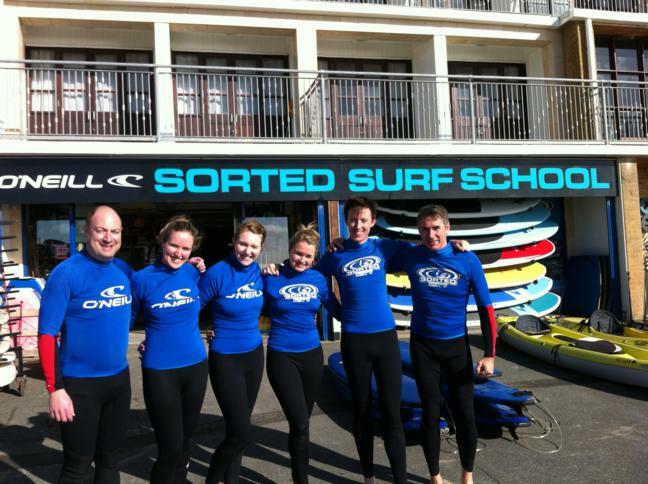 Despite my dogged competitiveness, and my failure to turn into Kelly Slater, it was a great morning. 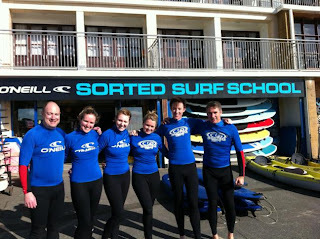 Brad, our teacher, was great craic, and nobody drowned. I didn't even whack the back of my head with the surf board - as soon as this was mentioned in the safety talk, I got the sinking feeling it would happen to me. 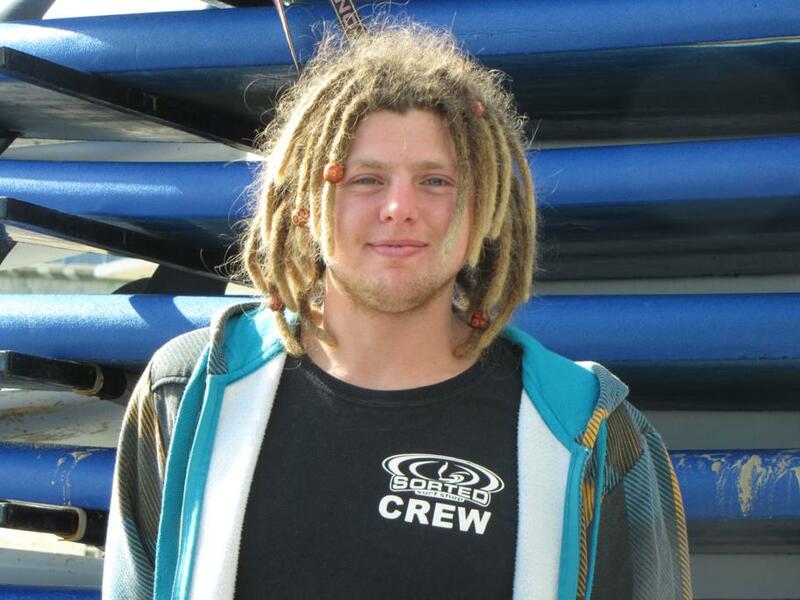 No concussion, sun in the sky and a half-victory on the waves? I'd call that a win.